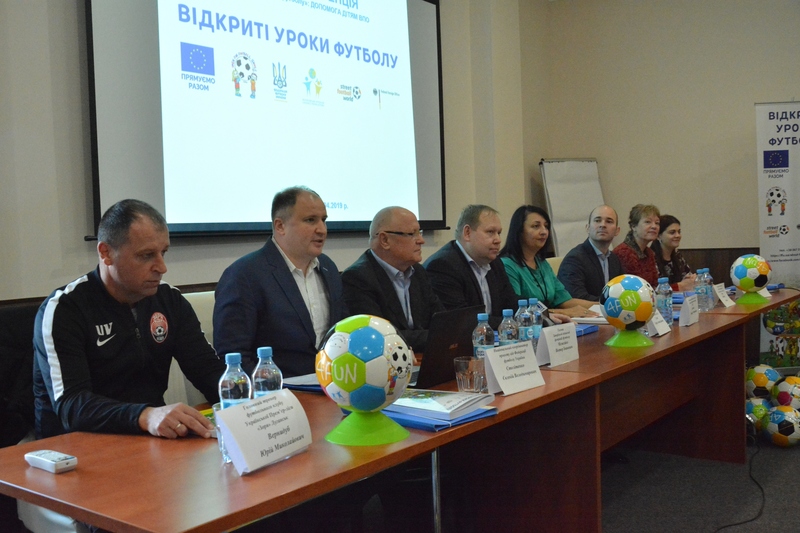 On April 2nd, Zaporizhzhya started a the 2019 season of “Open Fun Football Schools”, carried out with the support of the European Union. The season was kick-started with a volunteer seminar and a press conference which was held in the conference hall of the Zaporizhzhya Hotel Reykartz. Cross Cultures Global Programme Director, Hanne Lund Madsen. At the press conference, the members presented a touching promotion of the project activity together with an updated volunteer book for the volunteers to learn new exercises and games at the seminar. During the next seven days the volunteer seminar will take place. There will be three workshops to attend for the group of volunteers which exists of no less than 230 physical education teachers, children’s trainers, school psychologists, and policemen and women. For the police, the focus is on preparing as many field assistants as possible to become volunteers at the OFFS in order to help preventing juvenile delinquency. 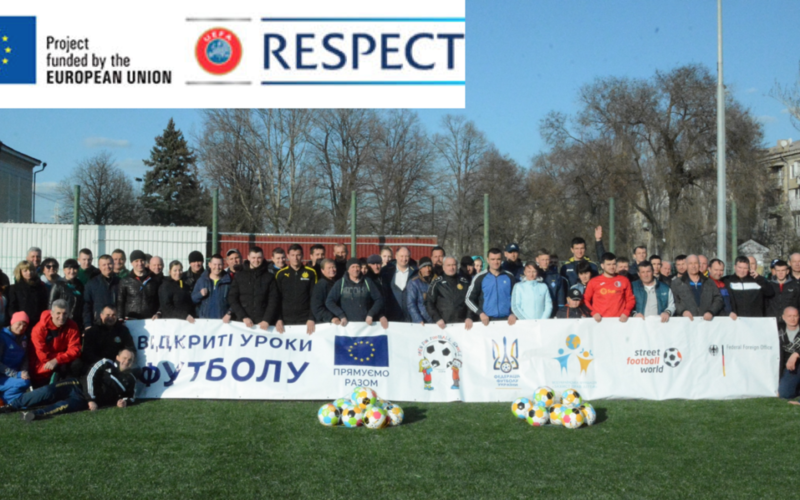 Ukraine is one of Cross Cultures most ambitious partners regarding implementation of our School+Sport+Police (SSP) approach as part of the Open Fun Football Schools. 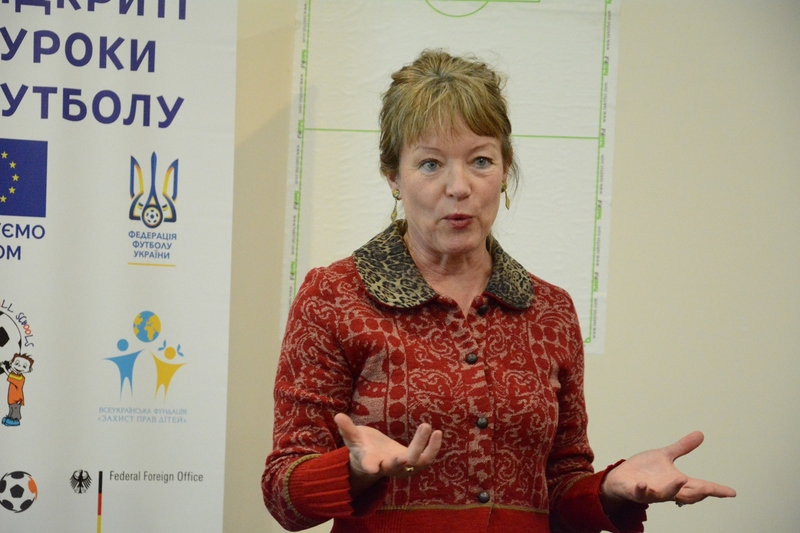 The Spring Season of OFFS in Ukraine will include no less than three more coach seminars, nine coach assistant seminars, 17 OFFS and one festival. All of this will take place within summer!